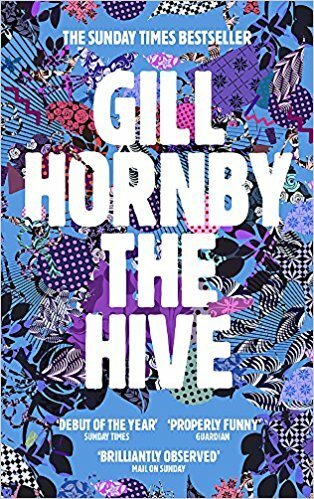 Writer and journalist Gill Hornby is causing quite a stir on the literary scene with her debut novel The Hive. At St. Ambrose Primary School there’s an unwritten hierarchy that keeps the social circuit, gossip and fundraising going. The absolute queen bee of this clique is Beatrice, with her nose in every bodies business, the parents under her thumb and most of the school looking up to her she comes across as an unstoppable force. Then there’s Georgie, a happily married, down to Earth mother who wants nothing to do with the clique she finds herself embraced into. Heather is the wannabe, she hangs off Bea’s every word and will push herself to the edge of panic attacks to meet her standards. Then there’s Rachel, newly separated, slowly being shunned from the clique and struggling to decide whether she cares or not. But it’s a new term with a new headmaster and a brand new mother in the playground, things are about to change. The novel opens with a brilliant scene where you are unable to tell if characters you are being introduced to are adults or children, summing up the strange nature of the relationships. From there this novel flows so smoothly and is such a joy to read due to the brilliantly crafted and utterly diverse characters. They may be slightly exaggerated caricatures but Hornby picks the perfect ‘types’ of women that we all recognise. From the woman with the heart of gold to the control freak that inadvertently needs to be the centre of attention, Hornby picks apart some of the women’s most positive and negative traits with a tender humour. For parents who are caught up in the daily politics of the playground, this book is sure to tell a few home truths and for anyone not currently inside that bubble, this will simply be a truly enjoyable read and one that could easily become a book group favourite.